Mages may not have healing, but the ability to avoid damage is just as good, if not better. With things like Esplosione Gelida Barriera di Ghiaccio Traslazione Flusso dell'Incantatore Invisibilità and it makes it a whole lot harder to touch me than the poor ele shammy with only um... Esplosione Tonante Lupo Spettrale Totem del Vincolo Terrestre. Then add Metamorfosi Blocco di Ghiaccio Rimozione MaledizioneImmagine Speculare and we're more than over powered. You want heals? Ruba Incantesimo that Marea Benefica, Rinnovamento Ricrescita Rinvigorimento and Bocciolo di Vita right off the druids and priests. Silly disc priest, all those talents to improve your bubble and now its mine. Presence of Mind: Personally, I use this in VERY long fights (Madness) in which I've engaged in multiple burn phases and want to regain my gems instantly. (If you're not at all familiar with Arcane, my explanation of the rotation (coming later in this post) will clear this up a little). Two minute cooldown, which lines up pretty well with a geared Mage's phases and need for a new Gemma di Mana. While Arcane specializes heavily on single-target DPS, letting Fire and Frost handle AoE, Arcane Explosion can be used in a pinch to spread damage over a group of tightly clustered enemies. To use it, one sets a primary focus (e.g., on a 'black ooze' phase of Yor'sahj, you'd set Yor as your damage focus, because he has a LOT of HP compared to the minions), and stack two Arcane Blast debuff stacks. You then cast Arcane Explosion, which also benefits from the debuff and doesn't break it. When the debuff has two seconds remaining, cast Arcane Blast at the focus target again, refreshing Carica Arcana (the debuff). The cycle is repeated, with Arcane Blast being spammed until only two seconds remain on the debuff. The detriment to this tactic is that, while it does provide Arcane with pseudo-viable AoE damage, it practically robs the Mage of mana, which prevents a burn phase from being executed, causing the Mage to go into a miniature recovery phase, or prolonging the recovery phase if the Mage was currently in one. Distorsione Temporale, also called by the generic name of 'lust' (Horde) and 'hero' (Alliance) is the Mage version of the Shaman spell 'Bloodlust'. That's... All there is to it. All Lust-type spells (Sorry, I'm Horde) share the same debuff, so this shouldn't be used prematurely. Immagine Speculare is an often-overlooked cooldown that should be popped when its CD lines up with that of AP; specifically, directly after AP. Lancia di Ghiaccio damage has been increased by 43%. Mastery: Frostburn has been replaced by Maestria: Frammenti di Ghiaccio. When the Mage damages an enemy with their Dardo di Gelo and Raffica di Colpi (16% + 2% per Mastery) of the damage done is stored as an Icicle for 15 seconds. Maestria: Frammenti di Ghiaccio also increases the Water Elemental’s Water Bolt damage by (16% + 2% per Mastery). Up to 5 Icicles can be stored at once. Casting Lancia di Ghiaccio launches all stored Icicles at the target. Dardo di Gelo now deals 10% less damage and no longer increases the damage of any spells. The damage for those spells have been increased instead. Dardo d'Acqua damage has been increased by 25%. Cuore di Ghiaccio now has 3 charges (up from 2 charges), and has a 20-second cooldown (down from 45 seconds). Bomba Vivente now deals 85% damage to players (up from 70%). Tempesta Fatua now deals 85% damage to players (up from 70%). Runa del Potere now has an increased effective range. 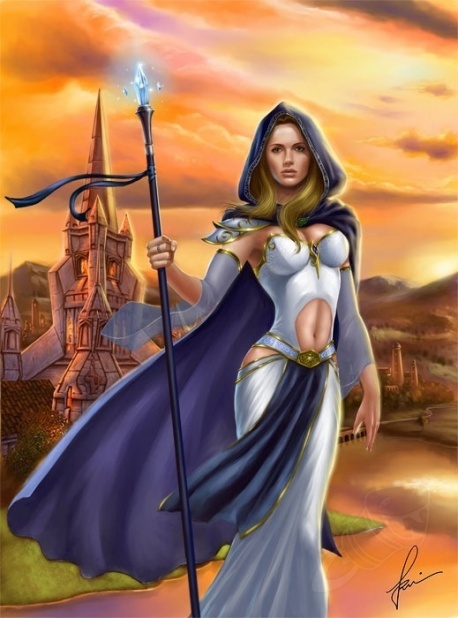 The Mage can remain up to 8 yards away from their Runa del Potere and still receive benefits to mana regeneration and spell damage (up from 3 yards). Glifo Carbonizzato now increases distance travelled with the Traslazione spell by 8 yards (up from 5 yards). Glyph of Invisibility has been replaced with Glifo Carbonizzato. Glifo Carbonizzato gives Traslazione two charges, gaining a charge every 15 seconds, but no longer frees the Mage from stuns and bonds. Glifo Carbonizzato now increases the damage dealt by 15% after successfully removing a curse (up from 10%). Glifo Carbonizzato now heals the Mage for 5% of their maximum health after successfully stealing a spell (up from 3%). Glifo Carbonizzato: Increases the size of the Mage's Water Elemental. Glifo - Evaporazione: Reduces the size of the Mage's Water Elemental. Glifo - Elementale Indomabile: The Mage's Water Elemental is replaced by an Unbound Water Elemental. Intelletto Arcano had its mana cost reduced to 1%, down from 4%. Esplosione Arcana now deals 40% more damage. Colonna di Fuoco now deals 100% more initial damage. Periodic damage remains unchanged. Immagine Speculare creates copies that no longer cast Fire Blast, but their Frostbolts do 10% more damage. Teletrasporto: Vallata dell'Eterna Primavera and Portale: Vallata dell'Eterna Primavera now have new icons. Flusso dell'Incantatore now allows the Mage to gain up to a maximum of 15% increase to spell damage, down from 30%, but the effect now lasts 25 seconds, up from 15 seconds. Bomba Vivente's periodic damage has been increased by 121%. Its explosion damage has been reduced by 78%, but now scales with additional periodic ticks added by haste, and hits all nearby targets (up from 3). now removes Evocazione's cooldown and reduces its channeling time and duration by 50%. A completed Evocazione now grants 15% increased damage (was 25%) for 1 minute (was 40 seconds) after an Evocazione is completed. Passive mana regeneration is reduced by 50% only while Invoker's Energy is active. Invisibilità Superiore now has a 90 second cooldown (was 2.5 minutes). Glyph of Fire Blast has been replaced with Glifo Carbonizzato. Glifo Carbonizzato causes damage over time effects spread by Inferno Blast to spread to 1 additional target. Velocità Fiammeggiante is now a level 15 talent, replacing Bruciatura. , a new talent is available at level 30 and replaces Velocità Fiammeggiante. The passive ability encases the Mage in fiery energy, absorbing damage from each attack made against the Mage equal to 20% of their spellpower, up to a maximum of 30% of the attack. Cuore di Ghiaccio now has a 45 second cooldown (was 1 minute) and its duration have been increased to 15-seconds (was 10-seconds). Anello di Ghiaccio cast instantly through now has a 2 second arming period before the Freeze effect is activated against targets in the area of effect. The 2 second arming period can be reduced by Haste. Glifo Carbonizzato now removes it from global cooldown but also reduces its duration by 1 second. Mage PvP 2-piece bonus now requires Controincantesimo to successfully interrupt a spell before applying the 4 second cooldown reduction to Controincantesimo. For Arcane Mages, Evocazione now restores 40% (was 60%) of total mana over 6 seconds, and consumes all s. For each consumed, the total amount of mana regenerated is increased by 10%, up to a maximum of 80% over 6 seconds. Evocazione remains the same for Fire and Frost. Detonazione Arcana's mana cost has been increased to 1.66667% of base mana (was 1.5%). Bruciatura is no longer a talent and is now available to all Fire Mages. Dita di Gelo now has a 15% (was 12%) chance to activate from Dardo di Gelo, Raffica di Colpi and Globo Congelato, and a 5% (was 4%) chance to activate from ., and a 10% (was 9%) chance to activate from Bruciatura. Glifo Carbonizzato now causes Lancia di Ghiaccio to deal 50% damage to one additional target (was 40%). Freeze no longer does damage, and only provides Dita di Gelo on a successful freeze. Mage portals may be added to Vale of Eternal Blossoms: Portale: Vallata dell'Eterna Primavera. Many mage talents that were previously acessible to one specialization are available to all, such as , Cauterizzazione, Frantumazione. Strong AoE options for Level 75 talents: Tempesta Fatua, Bomba Vivente, . Level 90 talents: , Runa del Potere, Flusso dell'Incantatore. Buffs and Debuffs: Intelletto Arcano for spellpower and crit, Distorsione Temporale for Heroism. Maestria: Incendio is the new mastery. Hot Streak has been combined into Pirosfera. Bomba Vivente is now a level 75 talent and does not have special synergy with Fire spells, as in Cataclysm. Frantumazione no longer increases the damage of Dardo di Gelo. However, now places a stacking debuff on the target, letting it take 8% more damage each application from Dardo di Gelo. Dita di Gelo is triggered by the following spells: Dardo di Gelo, Raffica di Colpi, Globo Congelato, Bruciatura, and Blizzard. It is only consumed by Lancia di Ghiaccio and . Removed Abilities: Flame Orb and Frostfire Orb are removed, but Globo Congelato takes its place. While arcane lacks the power of frost/fire mages, it provides you with tricky spells and talents. Your job is not to be the best dps, you are kleptomaniac stealing enemy buffs, interrupting/silencing them, slowing( Rallentamento Diffuso )/ freezing enemy which makes you valuable member of rbg. Steal enemy's heal over time spell/buff (Ruba Incantesimo),mage's barrier to get benefits. Mago class hall campaign quests is under the spoiler, it's long and interesting quest chain.